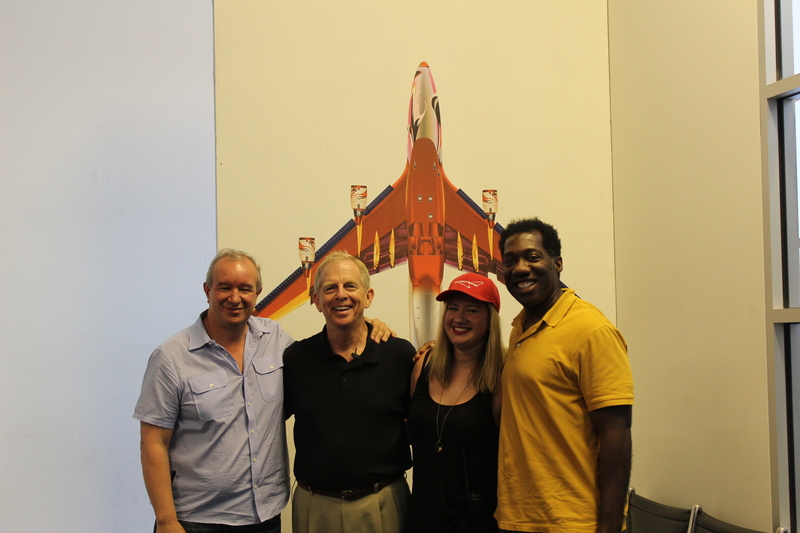 Had the pleasure to attend the very first “Open Sky for Fearful Flyers“ class conducted by AirHollywood, the largest airplane mockup studio serving the motion picture, television and commercial production industry. While not afraid of flying, I decided to attend because I knew there would be useful information shared AND anything aviation-related designed to assist others is always a good thing. Well, we weren’t disappointed. 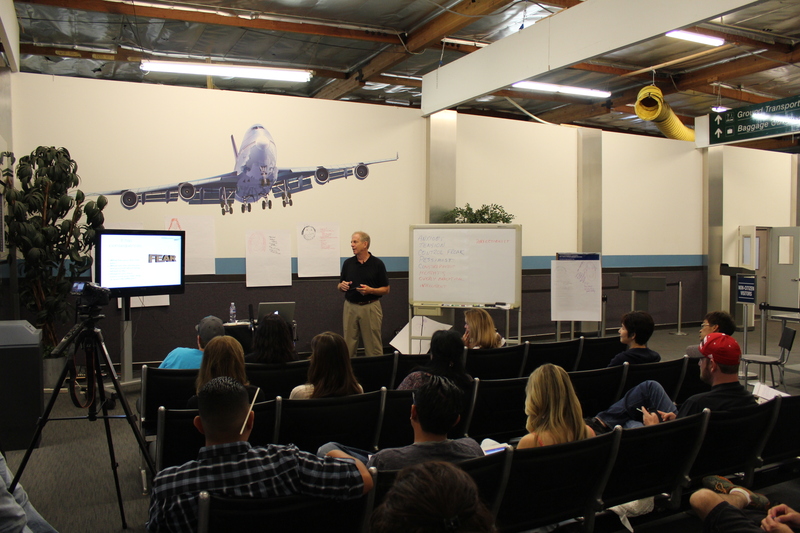 The class was facilitated by Capt Ron Nielsen, a retired commercial airline pilot. According to a published bio, Capt Ron has been a pilot for almost 40 years and recently retired as a captain for a major airline. Flying has been a lifelong passion of his and he now devotes much of his time and energy to helping others overcome their fear of flying. He began working with those fearful of flying in 1987, and has gained a unique understanding of fearful flyers and their fears. His master’s degree in professional counseling has served him well in his endeavor to help others. His knowledge of people combined with his knowledge of airplanes has helped him develop strategies for fearful flyers to successfully manage their fears. Through his live classes and webinars, he has restored confidence to thousands who are now flying again. He is frequently contacted by the media for his aviation expertise. The class was set up as a 6-hour course. Introduction of the weaker was followed by why people are afraid of flying (control, irrational fears, previous situations, etc.). After receiving statistics and facts about the safety of flying in today’s world, we partnered up with others in the class to learn more about what motivates your fear(s). As I’m not afraid of flying, my activity partner did most of the talking as I interviewed him about what makes him fearful. After sharing bios in a group forum, and what makes you fearful, we were treated to a very nice, casual lunch on the backlot. Lunch was followed up by “boarding” our flight. The studio is complete with Jetways and a motion-based mockup which simulates turbulence. We were then treated to the full phase of flight from boarding, to take off, cruise altitude, turbulence, landing, and arrival back at the gate. Even the owner of AirHollywood got in on the action, providing drinks from a beverage cart! 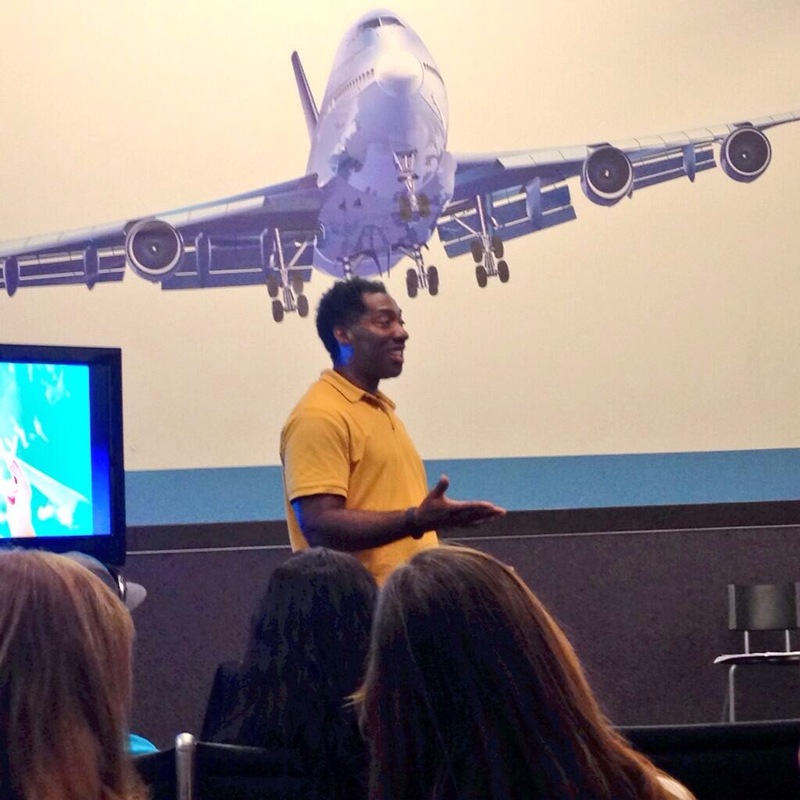 To my delight I had the opportunity to speak with the students in the Open Sky for Fearful Flyers course! 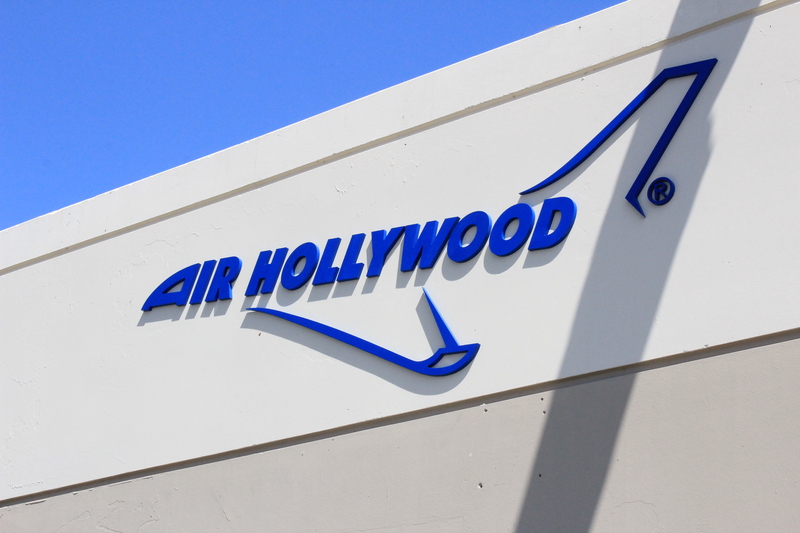 Our day concluded with a tour of the AirHollywood props department and backlot, where we saw upclose and personal everything studios would need to film movie scenes, commercials, or photo shoots. As this was the introductory course, AirHollywood and Capt Ron listened to, and answered questions from the students regarding what worked well and what we’d like to see in future classes. The goal is to have an on-going fear of flying classes complete with classroom instruction at the studio followed up by taking a real flight. I left the studio feeling great. It’s a nice feeling knowing that there are others out there who have a love and passion for what flight can add to your life and how overcoming your fear of flying can enrich your life and make it more fulfilling. This entry was posted in Uncategorized and tagged airhollywood, airlines, airplanes, airports, avgeek, avgeeks, aviation, aviation friends, crewlife, customer service, fear of flying, flight, flight attendants, movies, pilots. Bookmark the permalink. The course Captain Nielson offers is excellent educationally. But it falls short psychologically. In spite of claims that relaxation and breathing exercises will control feelings, these exercises work only in a peaceful environment where a person feels safe and secure – not on a plane where every movement and noise causes stress hormones to be released. Thanks for your reply Tom. Will Check out the book.